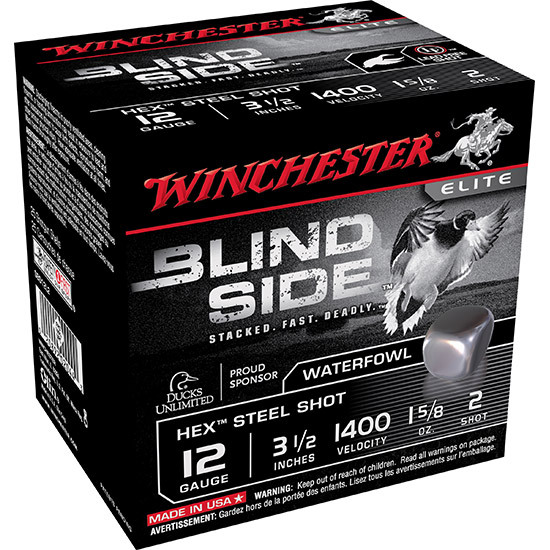 Winchester Ammo SBS12L2 Blindside 12 Gauge 3.5 1-5|8 oz 2 Shot 25 Bx| 10 Cs in. Blind Side by Winchester Ammunition features Hex steel shot high packing density a diamondcut wad and the Drylok super steel system. This is the most innovative waterfowl load in history and each box contains 25 rounds.